SALEM, Ore. (AP) — With Oregon’s wolf population growing, the Oregon Department of Fish and Wildlife on Monday issued a draft conservation and management plan that established a new timetable involving when wolves can be killed for preying on livestock. It says the wolf population in Oregon is expected to grow and expand its range. The new plan, which faces a June 7 vote by the Oregon Fish and Wildlife Commission, contains mostly minor changes from a draft issued in 2017, officials said. Broman said the plan continues to reflect unresolved conflicts on numerous issues, despite years of negotiations. Environmentalists worry it doesn’t do enough to protect wolves. It says the wolf population remains relatively small and is concentrated in forested parts of eastern Oregon and the Cascade Range. The plan said it’s unclear if the animals will expand into the Oregon coast range. 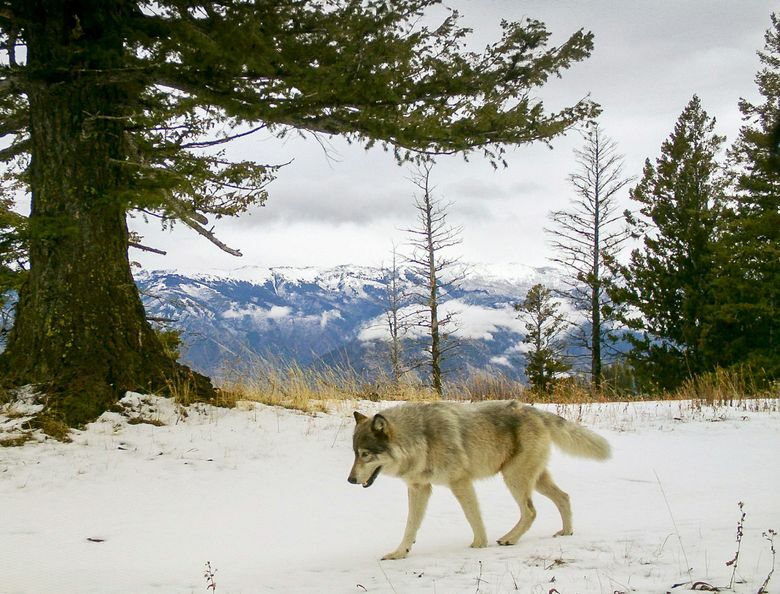 Last week, the agency reported that Oregon was home to a record number of wolves, 20 years after the species returned to the state. The number of known wolves in Oregon at the end of 2018 was 137, a 10% increase over the previous year. There are likely even more wolves because not all individuals or packs are located during the winter count, the agency said. Confirmed wolf attacks on domesticated animals increased 65 percent from the previous year, with 28 confirmed incidents, most of them on calves. But the attacks have not kept pace with the increase in wolf population over the past nine years. Oregon delisted wolves from its Endangered Species Act in 2016, though they’re protected statewide as a special status game mammal. Wolves in central and western Oregon continue to be federally listed as endangered species. In March, the U.S. Interior Department proposed lifting protections for gray wolves across the Lower 48 states. That would let states hold wolf hunting and trapping seasons.